Among many new featues in AMODIT 1.6 there is something very useful to make forms more interactive. 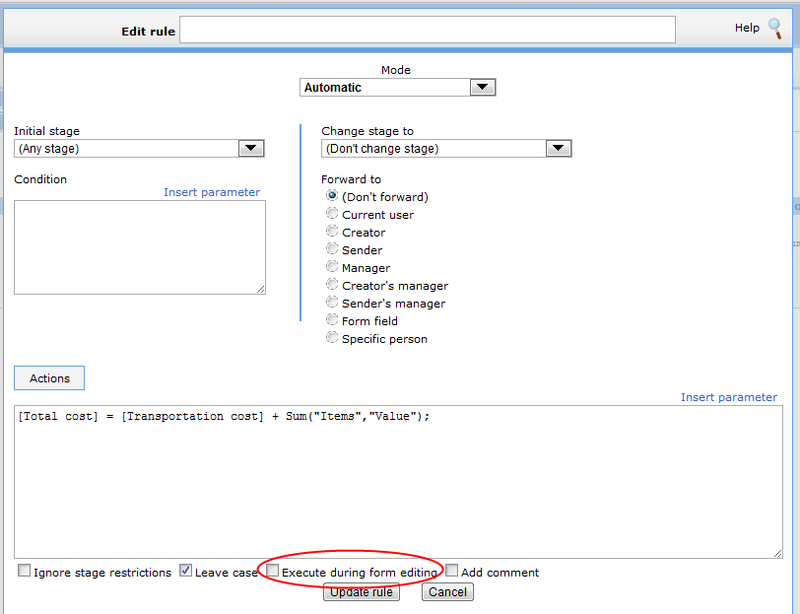 You can define rules that are fired in background while editing forms. They can be used for example to make some calculations in background. Or to set value of one field depending on combinations of value of other fields. What is important you can use them also in tables. There are special "table rules" which will be fired for every row separately.